Good morning! 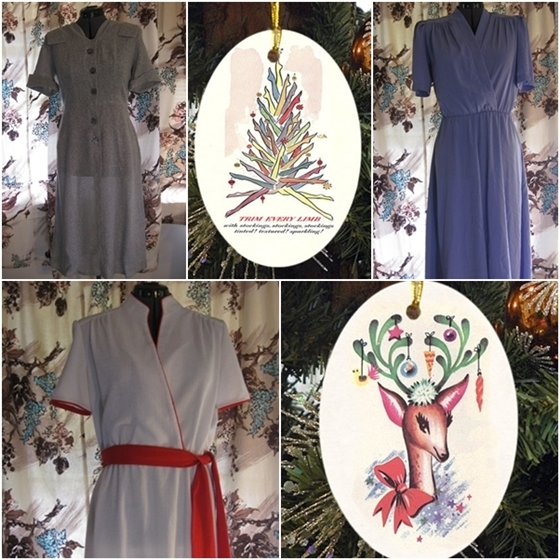 Today, I'm having a Cyber Monday sale in the etsy shop. 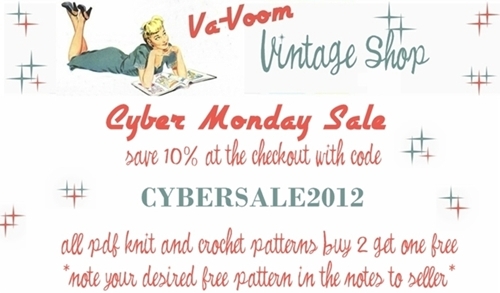 Save 10% off your order with code CYBERSALE2012 and all pdf knit and crochet patterns are buy 2, get one free. 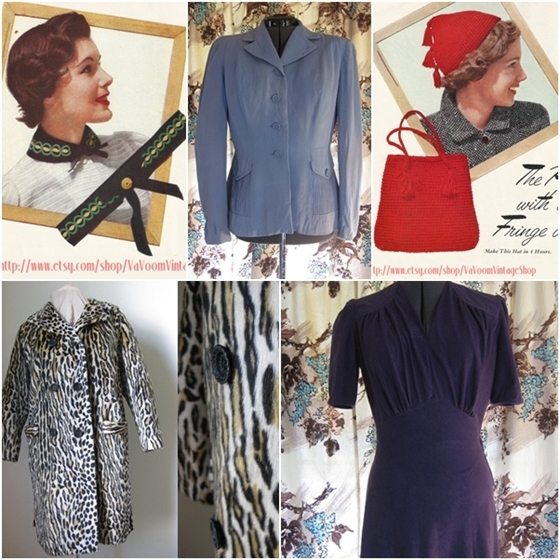 To get your free pattern, please make a note to seller at the checkout, letting me know which pattern you'd like! Today, I'm finishing up the last of my 2012 line of Christmas ornaments with this little 1930's ice skating gal. Isn't she sweet? She'll be in the shop this afternoon! That vintage ice skating gal is really darling for sure. I wish I could avail of your sale, but we got hit with a big unexpected car repair bill last week for almost a grand (our first since getting our car last spring), and it's really thrown our budget for a loop. I'll definitely be rejigging Xmas spending and my own budget for some time in the wake of it. Oh well, that's life, as they say. The ice skater ornament is super cute and the reindeer one is adorable! I love that you're are making these!